NOTE: This page was updated 04/18/2018 to provide a new image for the book and link to Amazon. The original links were broken. Also, this book is now published by BHC Press. It is now available in eBook, softcover, hard cover, and audiobook formats. 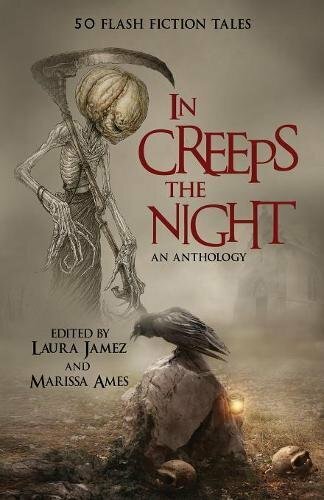 In Creeps the Night, the Halloween-themed charity anthology from BHC Press with my story Little Monsters, is now available! You can find it here on Amazon (Kindle ebook) just in time for Halloween! Note: If you are one of the authors and I don't have a link to your website, let me know and I'll be glad to add it. "It's sad enough to bury a child, but if we're going to have a decent funeral I must insist on the family plot being properly maintained. I should think you would have the statuary cleaned as that horrid figure of a weeping woman on his wife's grave is simply covered with mildew. The child's father is the only survivor and I don't wish to make this any more depressing than it already is." "I'm sorry, Madam, but I don't understand. We have no statuary like that in our cemetery." Beth Rhodes, one of the writer / bloggers I follow, has a new book out through Boroughs Publishing! The title is Unwanted Vows and it's available for Kindle at Amazon. It's also available in Epub and PDF format directly from Boroughs. Updated Sept. 10, 2014: There is a list of the authors for this anthology available on the J.A.Mes website. The cover for In Creeps The Night, a flash fiction horror anthology by J.A.Mes Press, has been revealed! It was created by their partner Blue Harvest Creative. "Our purpose at Mothers Without Borders is to address the needs of orphaned and abandoned children in a holistic manner. We support efforts to provide safe shelter, food and clean water, education and access to caring adults. We want to assure that each child has someone who cares about them to teach them of their value." Since there was so much interest in my first Michael Welch post, I thought I'd add a little more from Shore Leave 36 (2014). Here's a short video clip of Michael telling how he got the role of Artim in Star Trek: Insurrection. You can access the clip directly here - it looks a little better than the YouTube version.